Playing Temple Run is such a fun. 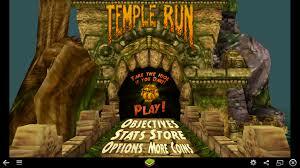 Temple Run is more of a runner game in which the player has to overcome many hurdles to get his hands on the treasure box, idol successfully. Your journey begins from the ancient temple walls along the sharp, steep rocks. Enter the world of thrilling, adventurous and scareful gaming platform that allows you to enjoy your each move with a perfection. 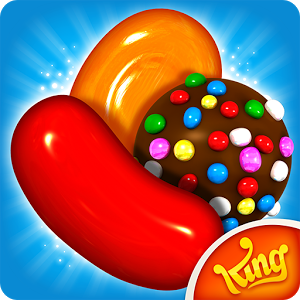 You’ll love each minute, each level of the game that turns it to be more and more addictive. You can control the character by tilting your phone, Swipe to turn, slide, jump from the steep mountains, collect coins, buy power ups and see how far you can run to save your life. Know the color coins where a golden coin is of one credit, red is two credits and blue is three credits. These credits can be utilized to buy and upgrade various characters and the power-ups. The game offers you with the awesome animated characters, perfect graphic designs and perfect sound quality to increase your gaming experiences like never before. The game is perfect mega-hit to get you an interesting gaming platform. 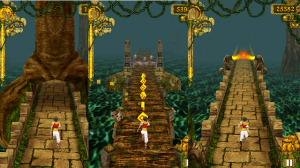 Temple Run is all about a perfect gaming platform where you have stolen the cursed idol from the temple, and now you need to run to save your life and escape the evil Demon monkeys ripping at your heels. A different game that lets you enjoy your journey full of hurdles coming in between while playing. Swipe to jump, turn and slide to avoid all the characters and just view how far you can run! 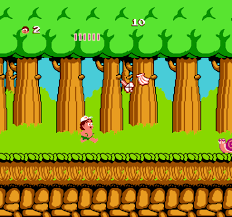 In each treasure hunting adventure games, there’s always a hand that gets on the treasure to let him win. So, see how far you can go! Run, Slide, jump to save your life. Swipe to turn, unlock new levels. 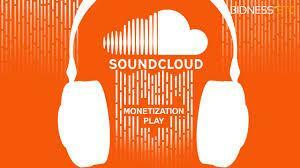 Golden coin – one credit, red coin – two credits, blue coin – three credits. Save yourselves from the attack of scary demons. Run to save your life. Experience fun, entertainment and a lot of thrill with this awesome gaming platform at your hands.